In a medium size skillet heat the olive oil. Add onion and garlic and cook until onion is softened, about 3 minutes. Add corn to skillet and cook for another 2 minutes. Add shredded chicken, salsa and sour cream, stir and cook for about 3 more minutes. Remove from heat and stir in cheese. Warm the tortillas in the microwave for about 30 seconds so that they're easier to roll. The chicken mixture should be enough to fill 10 tortillas. Butter a 9x13 inch baking with some of the melted butter. Lay a tortilla flat and top with a couple tablespoons of the chicken mixture. Tightly roll up the tortilla and place it in the baking dish. Brush with melted butter. Repeat with remaining tortillas. Bake for about 15 minutes or until tortillas turn golden brown. 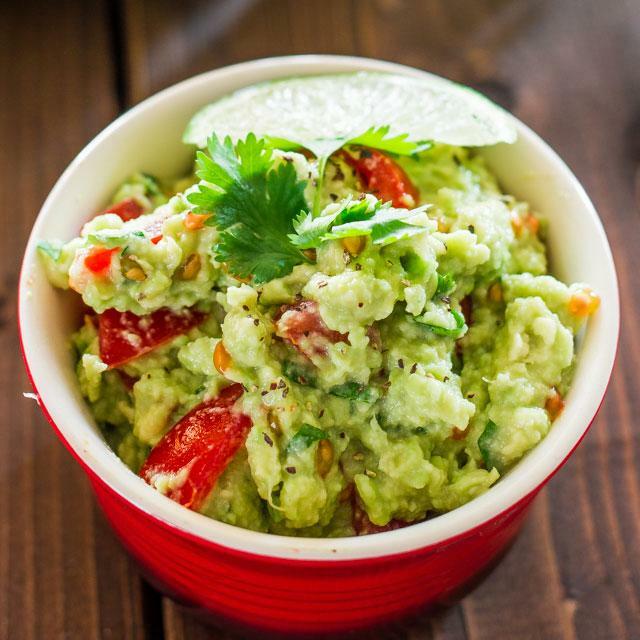 While the flautas are baking, make the guacamole. In a small bowl mash the avocado then add the rest of the ingredients and stir well. 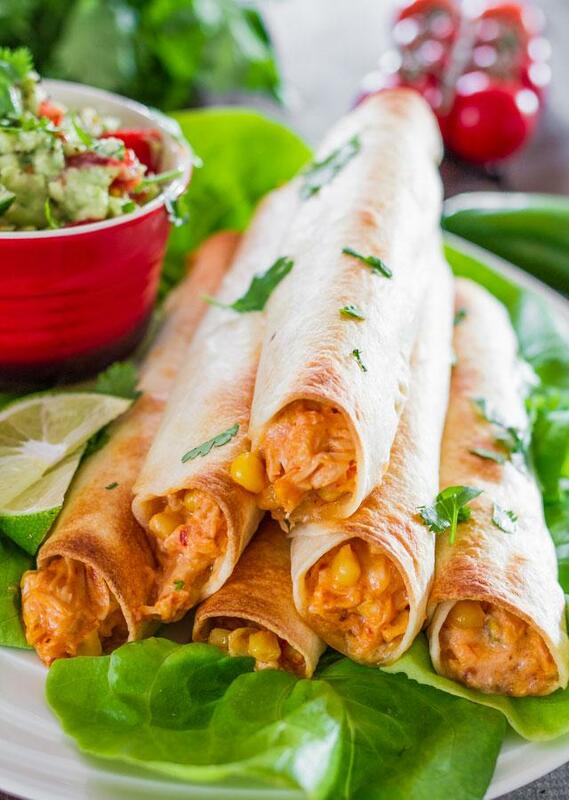 Serve guacamole over flautas and enjoy.